Mr Potter is expected to seek another term, after being in the position for seven years; however, elements within the party see him as a hindrance to eventually voting on a new Party President, the post that Dr Smith holds. A meeting scheduled for January 25, 2018 was postponed and eventually held instead on Saturday January 27, 2018 at party headquarters next to Village Cay. The main item on the agenda was the election of officers, that of Chairman and other officers like Secretary and Treasurer, to name a few. The election of a new Party Leader held by Dr Smith is off the table, according to two persons who are familiar with the meeting but not authorised to be quoted by name. Absent from the meeting were Deputy Premier Dr The Honourable Kedrick D. Pickering (R7) and Hon Ronnie W. Skelton (AL). All other elected members were reportedly in attendance. 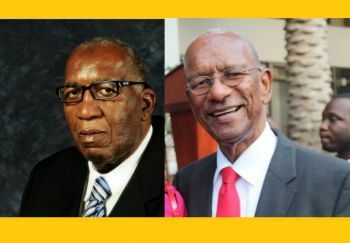 There has been both private and public discontentment with the Party Leader Dr Smith, who is now 73 and has been at the helm of the NDP since it was founded in 1998. At the February 6, 2018 meeting, if it occurs, an election is expected to take place for the office of Chairman, and other administrative positions of the party. At the Saturday meeting, the members present discussed the issues of how the elections are to be conducted. There are concerns by some NDP members, including whether they will return to the polls with its current leader Hon Smith. Many have both privately and publicity called for him to be stripped of the Finance portfolio, giving it to Hon Skelton (AL), the Health and Social Development Minister. Public calls have come from current NDP party representatives, ordinary citizens along with party spokeswoman and former Legislator Eileene L. Parsons OBE, including Hon Melvin M. Turnbull (R2) aka ‘Mitch.’ Hon Turnbull, who said in the House of Assembly in front of Premier Smith on December 13, 2017 that most of the other NDP members, including the Deputy Premier and Minister for Natural Resources and Labour Dr The Honourable Kedrick D. Pickering (R7), share his views. To date, only two elected NDP members out of 10 have disputed publicly Hon Turnbull's claims; Dr Hubert R. O'Neal (R9), and Hon Myron V. Walwyn (AL), the Education and Culture Minister. I agree. This is a rat race. Our Labour laws need changing. Most of our labour laws are caribbean labour laws that are not practical for the BVI. Because 50 percent of BVI population are xpats unlike other Caribbean countries where Xpats are less than 10%. Example. A worker get laid off in the BVI for 3 Months, that worker has to Eat, pay bills. most of them payrent Rent.. After 3 months they return to work and get terminated / redundant. .These Employers kno they are going to let go those workers but they are using the law to punished those workers because those laid off workers are the out spoken stand up for their rights workers that most company don't appreciate.. If they just avoid the 3 months laid off and paid those workers off a lot more of them would have took that money along with what they have save and go back to their countries or another country and not stay for 3 months spending what little they save... This one law really need looking into. The Ndp have the worse Minister of labor and agriculture ever. AND director of Town and Country for 25 yrs. It is under his watch that many bad buildings were built because of who you know. He looked the other way. 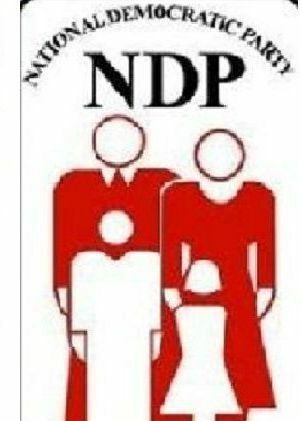 The NDP is the most corrupt government in the history of the BVI. Replace Mr. Zzzz with whom? The one who only looks out for his rich friends? Or the one who is not hand to mouth anymore and is going jail for an over priced wall? They keep delaying this meeting more than the NDP delayed when BVI Airways was suppose to start flying. Bald head just needs one more trip to St. Lucia and he will be the new leader of the gang. Good Fahie bad Fahie I am taking my chances with him and the VIP this time so it doesn't matter to me if they ever hold this NDP meeting. Miss P and Fahie told them what to do a long time ago but pride got the best of them. Now they will never get this worked out. I lost hope in these ndp long ago. Too many shady deals. All of the Ministers and some of their other halves need investigating right away but they have the white house and the COP fast a sleep. To hold a meeting of this nature it is best that they all start trying to speak to each other first then start to try to trust each other but that is even more impossible. We the people had enougj of the ndp and their blatant corruption. They must GO!!!!!!!!! Even in a crisis this gang puts their hands in the cookie jar and went with the jar. Many persons who didn't apply for assistance for their business because of Irma got grants and many who applied got none. Pure politics. Leave Dr Smith there. We can't go with Myron because he under investigation and might be bared from running plus no one wants the done deal man because the whites will rule. So there we go it's either Fraser, fahie or maybe smurf. We have Bald head back. That Cuban will learn that where Bald head is is the power. Bald head will be the next Premier and will fire the Cuban. Why are flaunting the constitution by continuing to elect non Virgin Islanders to the HoA? We are either a territory of laws or we are not. These people do not have the interest of the Virgin Islands at heart. The law is there for a reason. Potter??? Again??? Gosh, how many times can a person be sent home only to reappear in another position??? I now see why new heads will never get a chance because the old ones won’t step down. Geesh! Myron come out from among these guys especially that labor man. They don't like you. They are who caused the wall to be investigated but they forget all their dirty laundry in each of the other Ministries. Myron come out from among them. Its obvious that everyone is sick and fed up and want a change. We will soon be given an opportunity. But what I see right now Fahie has a good chance of winning this thing the members need to get themselves together and get behind him. Fraser look like he staying out of it next election, and Mr. Willock look like he vying for the title, Fraser has groomed him well. This is whats suppose to happen. Regardless of what NDP does they coming out it, no if or but about that. You all keep praying for the Government, People its time to ask God for a Good Government, one that is guided by God and look after its people, and does what is right for its people and the country. This election delays seem like something new and much bigger and, if so, things are about to get very interesting. You complain too #%$& much! So because your mother and grandmother born here that means you will have everything easy? What don't you have? Tell me? You have THE RIGHT to work, own land, own a business and much more without any red tape. Frazer, when are you going to launch your party.. You are the leader for these time.. A friend of mine described NDP and VIP as salt and sugar. Lol. Take your pick, either one is bad for you.. This man acts tough but worse than all. Try leave whiskers where he is doing nothing. You must be on drugs if you think Marlon and Myron will lose their seats next election. Also Kedrick may not be well liked in the wider BVI but the 7th district will still vote him back in. God knows NDP is not perfect,however,I do not see Fahie as their replacement.All rhetoric and no substance,People need to think intelligently and not emotionally.Not because you are dissatisfied with the status quo you just go and vote anybody in.Think people,think! But that's who we are! !